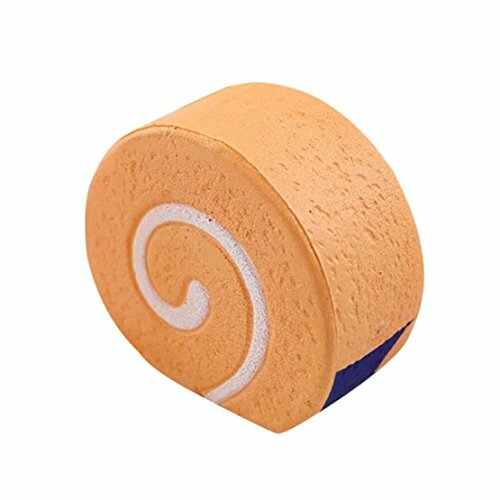 Why should you choose Squishy Swiss Roll from brand "DrCosy"? 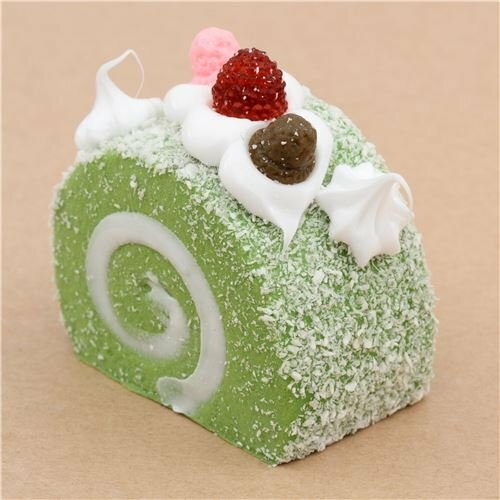 1.We are the manufactuer for our squishy swiss roll. So we could offer you the affordable price and the strict quality control. 2.We have our own professional customer service team. If there is any question with our product, please do not hestitate to contact us. We will response your email in 24 hours as soon as possible and try to offer you a nice satisfied solution. 3.DrCosy is set up by a group of young people, who are keen on new and special ideas.We cherish every customer and product. 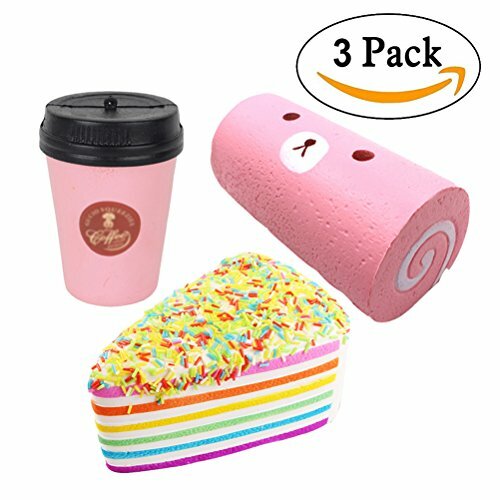 Main Features: Material:Elastic Environmentally PU Foam Size: 5.9"x3.3"(15*8.5cm) Color:Pink, Yellow Weight: 4.62oz(131g) Perfect for gifts, decorations, collecting and also as stress relief toys for releasing stress and reducing pressure. 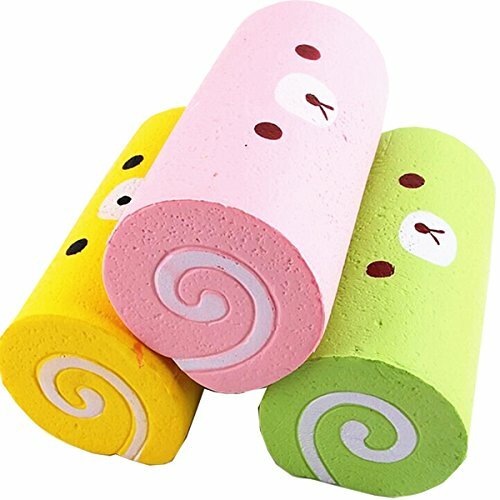 Once you get the kawaii squish, you will love it. 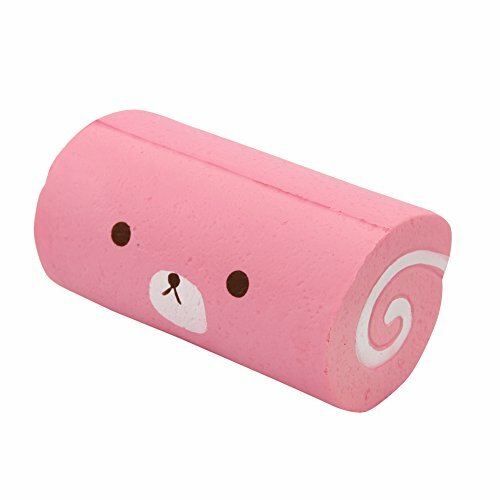 Package Including: 1 PC Slow Rising Swiss Cake Roll Kindly Note Kindly Note: Applicable age(better for more than 8 years old),Don't let them put it into monuth. About the Brand Story: MHJY ---- Home is our belonging,We believe that everyone loves his family very much. 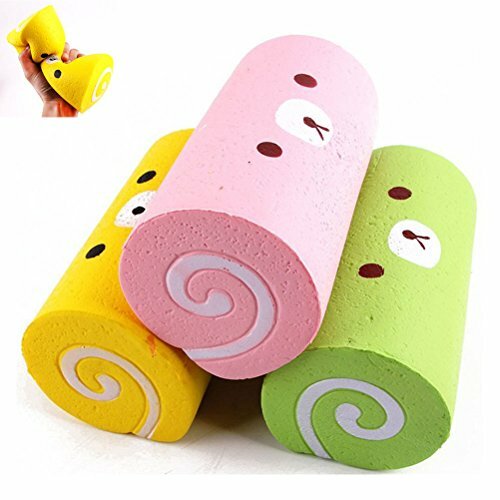 MHJY is committed to providing quality home life products for each customer, let us decorate your home, make your home more warm, let you linger on the home feeling.About this item: -- Name: Squishies Slow Rising Swiss Roll-- Material: PU-- Size: 15 * 8.5cm-- Color: Pink, Yellow-- Quality: the item is made of high quality, it is durable and reusable use,and no irritation to the skin-- Super soft and squishy,take about 10-15 seconds recover, so fun to squeeze.-- The swiaa roll toys is eco-friemdly and skin-friendly,it has no irritation or harm to the skin, and can better protect the skin of the child.-- Features: funny toys, Combine the toy with the Swiss roll to make the child more fun to play-- Function: hand pillow, stress relief toys, interior decorator, vent emotions, finger rehabilitation training, photo props, simulated toys and more.Package include: 1 * Squishy Swiss Roll MHJY is a registered trademark, attention to detail is always our priority and all of our products are professional manufacturing and sole selling.If you have any question, please no hesitate to contact us, we will try our bsst to solve the problem. Description: Definitely a Perfect toy to relieve your stress! A wonderful gift for you, your family and coworker! 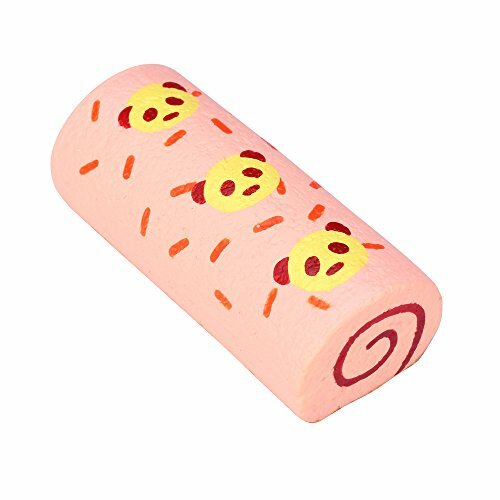 Specification: Item name: Squishy cake roll Material: Elastic Environmentally PU Size: 15*8.5 CM Style: Toys/Collections/Crafts/Cellphone straps. Squishy: Slow rising. 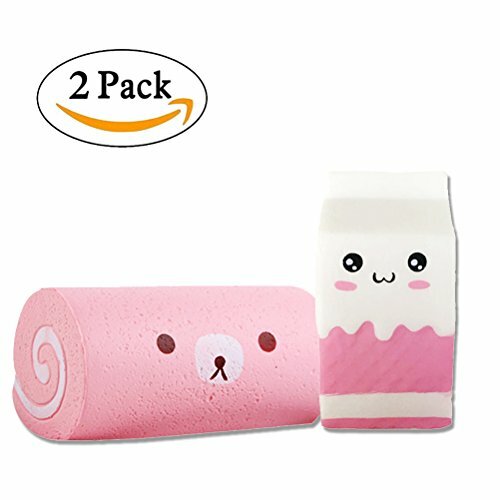 2 Package= 2* cake roll Squishy Toys Note: If you have any question, please feel free to contact us, we will reply you within 24 hours. 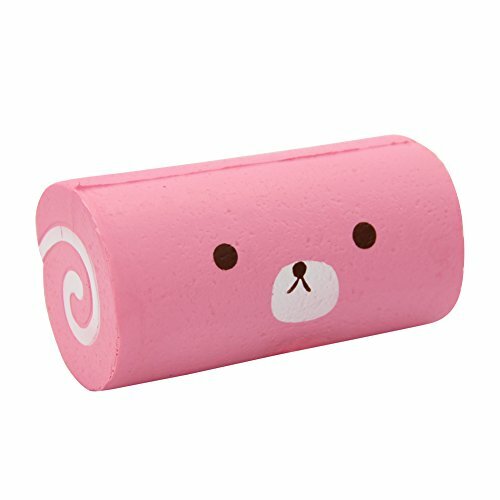 SQUISHY SWISS ROLL?!? plus MORE! 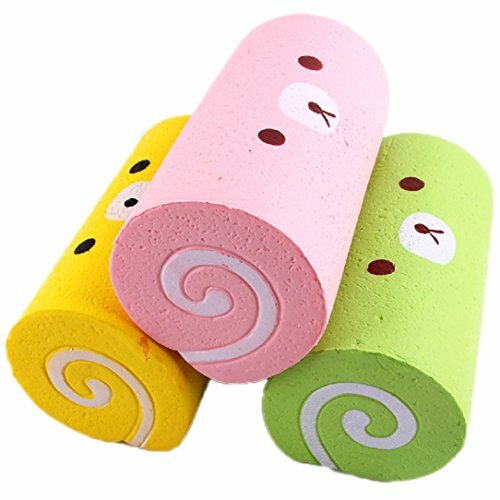 Compare prices on Squishy Kawaii Cake Roll at ShoppinGent.com – use promo codes and coupons for best offers and deals. Start smart buying with ShoppinGent.com right now and choose your golden price on every purchase.